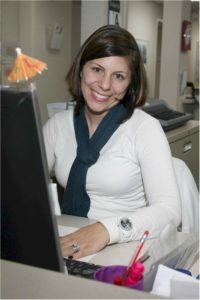 "I've been seeing Dr. Bender for 20 years and he has always been the most caring and compassionate person. He goes the extra mile and actually spends time with his patients. I cannot say enough good things about him!" Amherst Family Practice in Winchester, VA is located in the heart of the Shenandoah Valley. Within minutes you can be shopping and sight-seeing in downtown Washington DC, hiking along the Appalachian Trail or fishing on the Shenandoah River. AFP has been serving the community for more than 40 years. We combine a traditional family practice office with same day, by appointment, urgent care services to provide the perfect fit for today’s busy lifestyle. We treat our patients as we would a member of our family, with careful consideration and respect. 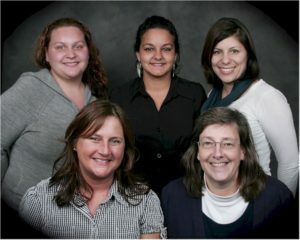 Our staff of four full-time physicians and six physician assistants are prepared to take care of your health. Each staff member strives to practice compassionate, quality medicine. For years, we have provided quality healthcare services to local families just like yours. Amherst Family Practice supports the American Cancer Society with their Relay for Life Team, the Dreamcatchers – Dreaming of a Cure. To donate or learn how to help Dreamcatchers visit the Amherst Family Practice Dreamcatchers site. *AFP is recognized as an Accredited Collection Site by the Drug and Alcohol Testing Industry Association (DATIA). It is in your best interest to see your primary care physician whenever you come to AFP; however, since our family of providers functions as a group, you and your family have the option of seeing any one of our physicians or physician assistants should your PCP be unavailable. If you need to cancel an appointment, please call our office 24 hours in advance to let us know. This will allow us to schedule another patient that needs to be seen that day. Full payment is requested at the time of service unless alternate arrangements have been made in advance. This policy allows us to reduce administrative costs without diminishing the quality of service to you. For your convenience, AFP accepts payments by cash, check, Visa, Master Card, Discover and American Express.